How to discern the spiritual forces around us and how to have authority over them. The atmosphere around you is alive with unseen spiritual activity—a battle between forces of darkness and light. You can take dominion over the supernatural environment for the Kingdom of God! 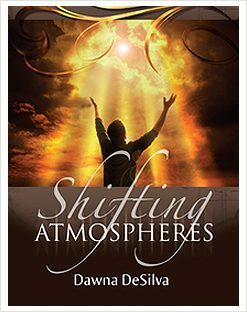 Shifting Atmospheres is a detailed teaching on how to discern the spiritual forces around us and how to have authority over them. Included are prayer times at the end of this teaching that will position you to walk victoriously in any atmosphere you encounter. Get ready to discern the enemy’s tactics and learn how to use your weapons of warfare to enforce Jesus’ victory over forces that war against your mind, your family, and your region!